August 1999 of the British Magazine, Classic Cars. The cover feature of this issue is the Jensen Interceptor FF. 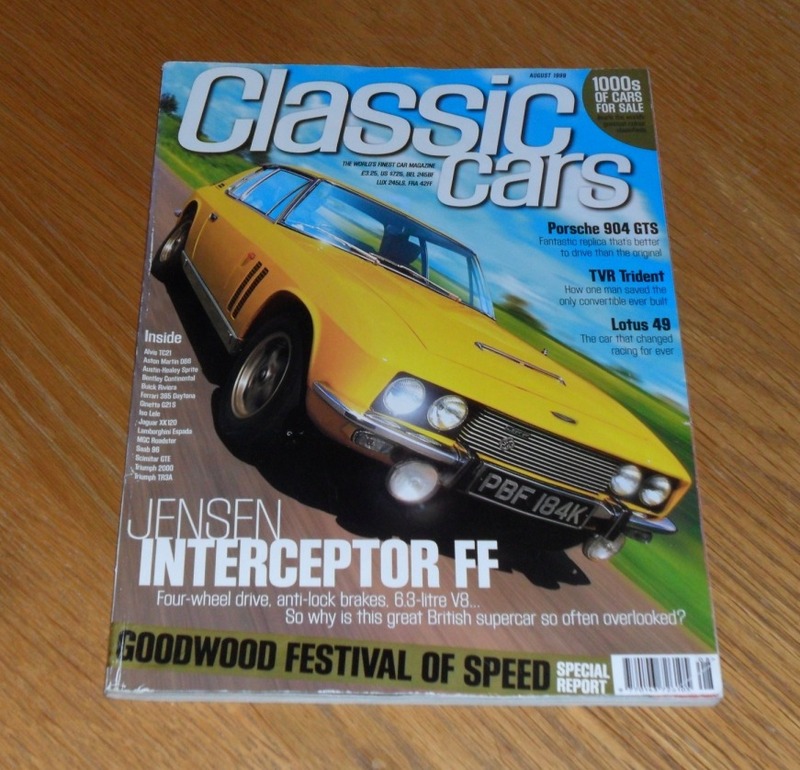 Other articles include items on the Lotus 49 F1 car, Porsche 904 replica, Bentley Continental vs Buick Riviera, Jaguar XK120, Reliant Scimitar GTE, Lamborghini Espada buyers guide and many more.